The Vanbrugh and eight very special guests present the annual National String Quartet Foundation Scholarship Gala Fundraiser. This wonderful event is always a spectacular finish to our season and is not to be missed! The concert presents a string of masterpieces by Haydn, Schubert, Mendelssohn and Brahms, performed by the members of The Vanbrugh together with eight outstanding young Cork musicians and introduced by 96FM’s Elmarie Mawe. Click here to view detailed programme notes. The Vanbrugh has evolved from the work of the Vanbrugh Quartet which was based in Cork as RTE’s Resident Quartet from 1986-2013. Over three decades the quartet gave close to three thousand concerts, presenting the chamber music repertoire to audiences throughout Ireland, Europe, the Americas, and the Far East. Commercial recordings include more than thirty CDs of repertoire ranging from the complete Beethoven quartets to many contemporary Irish works. In 2016 the group was presented with the National Concert Hall’s Lifetime Achievement Award in recognition of their contribution to music in Ireland. Tonight’s concert marks one year since the retirement of first violinist Gregory Ellis. Keith Pascoe, Simon Aspell, and Christopher Marwood continue to perform together as the nucleus of The Vanbrugh. During the current concert season they toured works from the piano quartet repertoire in collaboration with the acclaimed pianist Michael McHale. Plans for the future include mixed formation repertoire including the odd string quartet for good measure. 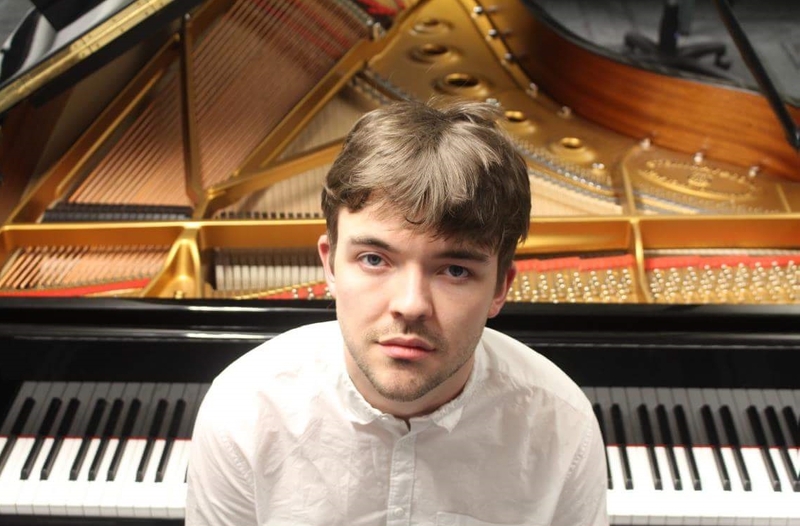 Jordan Bagot completed his studies as the highest-placed final year student of the Bachelor of Music programme in the CIT Cork School of Music, studying with Mary Beattie and Dr Gabriela Mayer. He has received masterclasses from world-renowned pianists such as John O’Conor, Pascal Devoyon, Barry Douglas, John Lill, Philip Martin, Pavel Nersessian, Pierre Goy, Ewa Poblocka, Sergey Schepkin, Finghin Collins and Jean-Bernard Pommier. Last year, Jordan took first prize at both the 2017 Yamaha Music Foundation of Europe Scholarship Award and the Morris Grant Bursary at Feis Ceoil. He was also awarded the ‘Cork Orchestral Society “Emerging Artist” Award’ as its inaugural recipient. This year, he won the Mabel Swainson Award at the 2018 Feis Ceoil. Jordan has enjoyed performing around Ireland, both solo and with orchestra, whilst completing his MA in performance in the CSM. He was invited to play at the UCH “Rising Stars” inaugural concert, last April, and also took part in the RDS “Rising Stars” Concert in May 2016. Jordan was awarded the Brennan Prize for “the most promising musician” in the 2015 Irish Freemasons’ Young Musician of the Year competition, he was then a finalist in the subsequent year. Jordan has also maintained an avid interest in the performance of new works, recording C.S.L Parker’s Three Books of Miniatures for piano duet last summer. This year, Jordan and the composer recorded a further 3 Books of Miniatures. Gráinne Ní Luasa is a 3rd year BMus student at CIT Cork School of Music. She began her piano studies with Gabriela Mayer at the age of six, later studying with Jan Čáp and, currently, Mary Beattie. From a young age, she has been a regular prizewinner at local and national competitions, and was last year’s winner of the CIT Cork School of Music Advanced Recital Competition. In 2013 she featured as part of an RTÉ Lyric FM broadcast showcasing young musicians. In April of this year she performed in the RDS as part of the Rising Stars concert series. In addition to solo playing, Gráinne also enjoys collaborative work, and regularly performs as a chamber musician and accompanist on piano, harpsichord and organ. As an orchestral pianist, she has performed Stravinsky’s Symphony in Three Movements with SinfoNua, under conductor David Brophy. Gráinne has had masterclasses and lessons from many renowned pianists, including Pavel Nersessian, Ewa Pablocka, Anton Voigt, Philip Martin, Peter Donohoe, and Finghin Collins. She has also attended the Chetham’s Summer School for Pianists on several occasions. 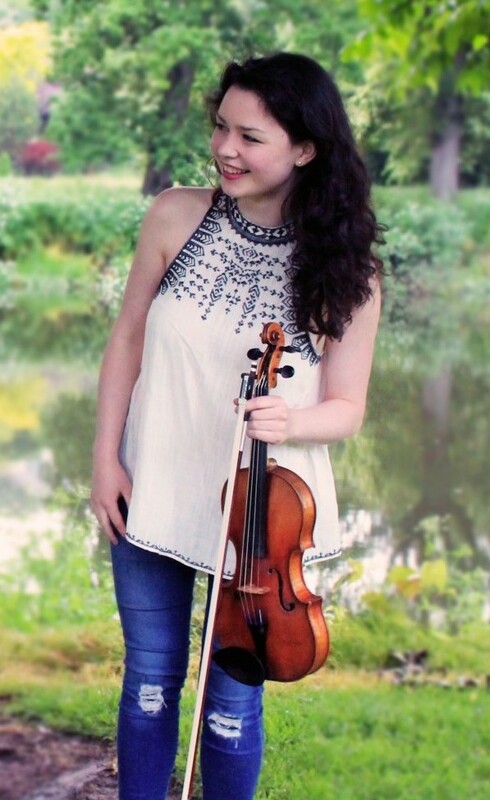 One of Ireland’s most accomplished violinists, Mairéad Hickey was NCH Young Musician of the Year 2010 – 2012. She won third prize in the 2016 International Louis Spohr Competition and first prize in the Jeunesses Musicales Violin Competition, Romania 2012. She has performed with both the RTÉ Concert and Symphony Orchestras and has performed in venues including Carnegie Hall, New York. As chamber musician, Mairéad has appeared numerous times in the West Cork, Westport and Clandeboye Music Festivals. She is the co-founder and Artistic Director of the Ortús Chamber Music Festival. She has collaborated with artists including Barry Douglas, Tabea Zimmerman, Boris Berezovsky and Fazil Say. Mairéad currently studies with Mihaela Martin at Kronberg Academy. Mairéad currently plays a 1702 Tononi violin, kindly loaned to her by a generous sponsor through the Beares International Violin Society. She is supported by the Arts Council and the Music Network Music Capital Scheme, funded by the Department of Arts, Heritage and the Gaeltacht. David McElroy graduated last October with a First Class Honours BMus from CIT Cork School of Music with the title “student of the year” as highest placed fourth year student and also taking the Alan Cutts prize for conducting. He is continuing his violin studies with Ruxandra Petcu-Colan in the CSM Masters in Performance Programme. 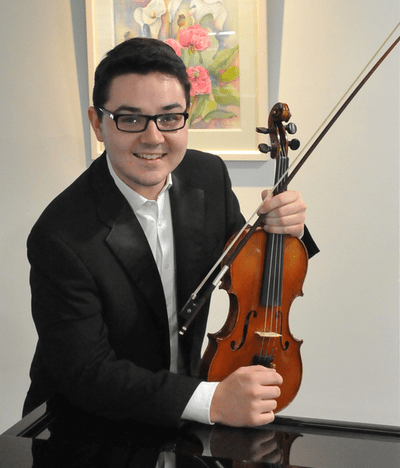 Leader of the CSM Symphony Orchestra and twice winner of the senior concerto prize, David has performed Bruch Violin Concerto No.1 as well as the Glazounov Violin Concerto with the CSMSO. In 2017 he performed in the RDS Rising Stars platform and in the Young Musicians’ programme of the West Cork Chamber Music Festival. The Shandon Quartet is a development of the Shandon String Trio, which was formed in 2017. 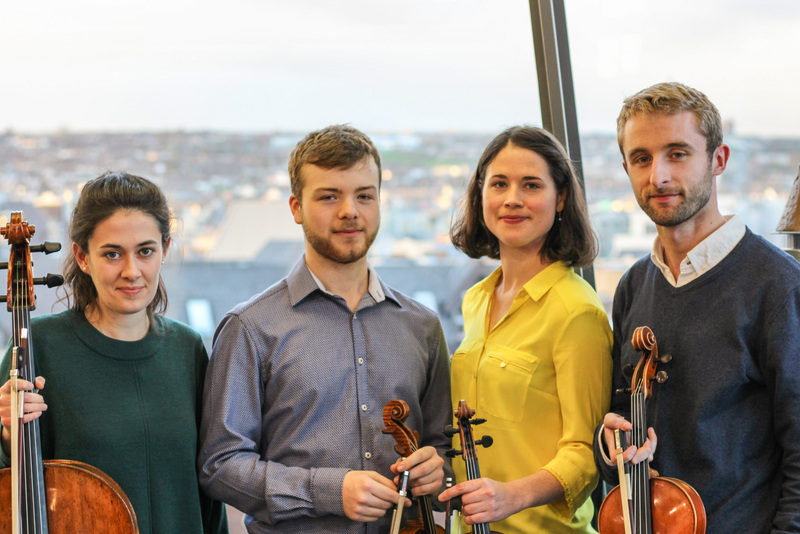 These four Cork musicians are committed to performing the core classical and romantic repertory for string trio and string quartet, as well as exploring lesser known works. As a trio, they have performed in the Crawford Art Gallery Lunchtime Concert Series, the Classics in the Park Series and both the Summer Lunchtime and the Spotlight Chamber Music Series at Triskel Christchurch. The Shandon String Trio is currently undertaking a Chamber Studio mentorship with Richard Lester at King’s Place, London. Siún Milne is an Assistant Lecturer in Violin at the CIT Cork School of Music. She regularly plays with the Irish Chamber Orchestra, performing as part of the Würzburg Mozart Fest, Storioni Festival Eindhoven and the Heidelberg and Rheingau Festivals at venues including The Lincoln Centre New York, Berlin Konzerthaus and Zürich Tonhalle. Brendan Garde is currently studying for a Masters in Music Performance at the CIT Cork School of Music under the tutelage of Gregory Ellis. He is a graduate of the Royal Northern College of Music in Manchester, where he was the ABRSM EU scholar for the duration of his studies with Leland Chen. Brendan was a finalist in both the Norman George Violin Scholarship and the Helen Porthouse Paganini Prize at the RNCM. David Kenny is a graduate of the CIT Cork School of Music, where he studied with Constantin Zanidache and Simon Aspell. A keen chamber musician, he has performed at the West Cork Chamber Music Festival, Music in Drumcliffe, Interlaken Classics Festival Switzerland, KBC Great Music in Irish Houses Festival and The Chamber Music Gathering at the National Concert Hall, as well as collaborating with the Ficino Ensemble, Musici Ireland and The Vanbrugh Quartet. In 2016 David was appointed to viola section of the RTÉ Concert Orchestra. Aoife Burke is a first-class graduate of the RNCM, Folkwang University of the Arts and the CIT Cork School of Music, where she studied with Emma Ferrand, Christoph Richter and Christopher Marwood, respectively. 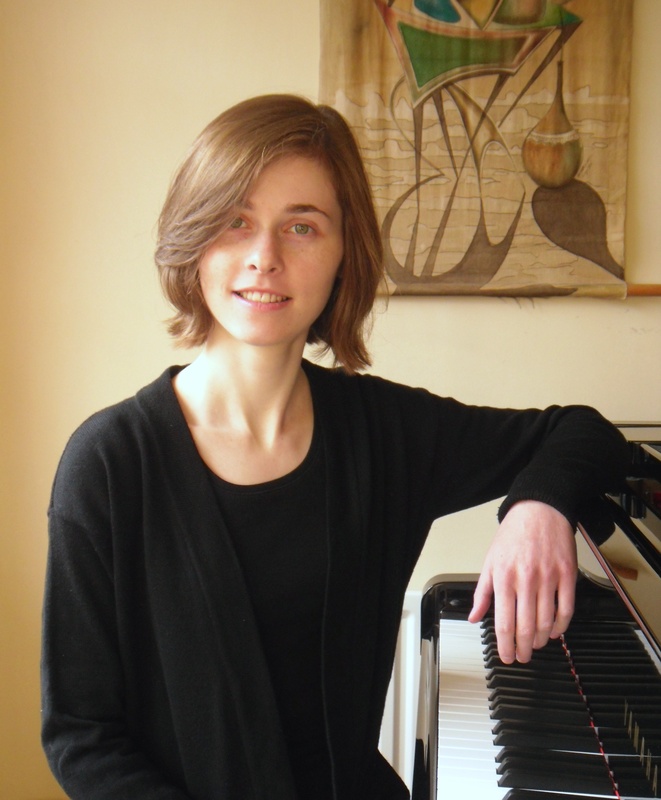 During her studies, Aoife was a recipient of the Raphael Sommer Scholarship and was a Britten-Pears Young Artist. She currently holds a residency at the Triskel Arts Centre in Cork, where she curates the Summer Lunchtime Concert Series and the Spotlight Chamber Music Series.